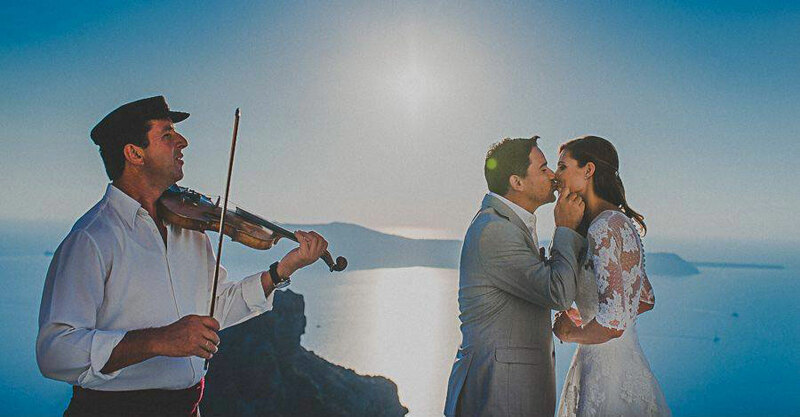 Can you imagine a more idyllic location than the gorgeous volcanic island of Santorini for your wedding? This beautiful, peaceful place with its magical breath taking sunsets and the crystal blue Aegean Sea is a world-class wedding destination and Blue Dolphins apartments and suites could be a valuable ally to make your dream come true in that gorgeous island! Whether you are interested in a Santorini Civil Wedding, Orthodox Wedding, Catholic Wedding or a Symbolic nor a Vow Renewal Ceremony, our partners will be happy to provide all the information and care necessary to organize the ceremony and the reception of your dreams in a picturesque Santorini scenery! 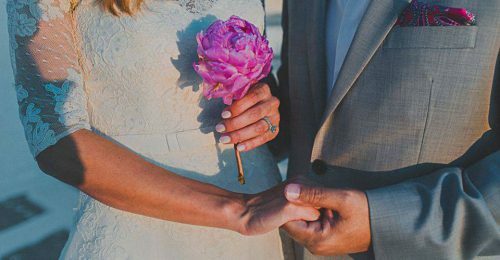 Visit our experienced partners, ‘Lov Weddings’, website at www.lovwed.com or contact them directly at lov@lovwed.com (and, please, remember mentioning your accommodation at Blue Dolphins apartments and suites to get a 5% discount in their services) to plan a wedding event exactly as you have dreamed off in our residence!